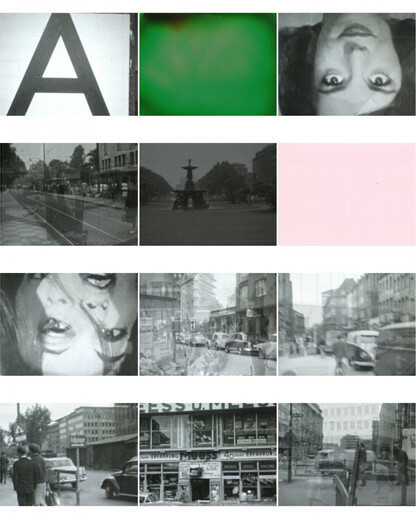 KÖNIG GALERIE is pleased to present works of Manfred Kuttner (1937 – 2007) in his third solo exhibition at the gallery. 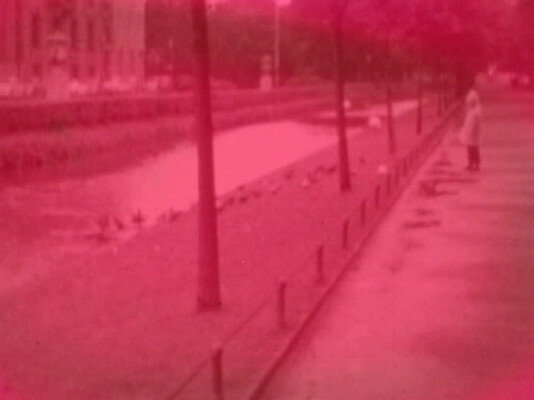 The experimental film "A-Z" from 1963 will be screened, together with the script with which the artist prepared and conceived the 8mm piece. 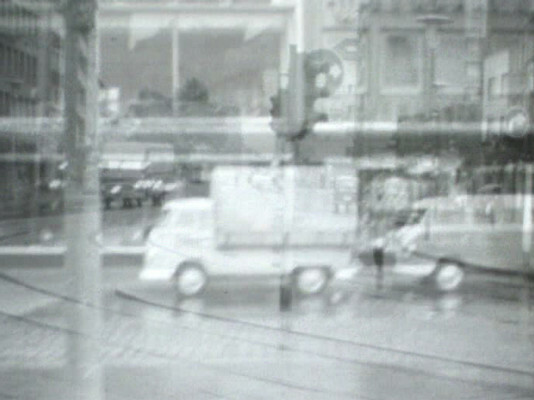 In the film "A-Z" (1963), Kuttner captures impressions of his surroundings and people during his studies at the art academy in Düsseldorf. Street scenes of Düsseldorf traffic, close-ups of street signs and billboards make up the rapid scene-sequence shot by Kuttner, amongst others, at the Schadowstraße in Düsseldorf, a typical post-war German shopping street. Recurring motifs are also women portraits, such as pin-up girls and film divas of the 1960's. An influence of Pop Art can be perceived, with which Kuttner and his fellow artists came into contact quite early, especially through the magazine "Art International". Further, the flashing of contemporary media images makes the film a historical document, containing for instance pictures of the last public appearance of pontiff John XXIII, who abolished the kiss on the foot and contributed to the resolution of the Cuban Missile Crisis by mediating between John F. Kennedy and Nikita Chruschtschow. When filming his private environment however, Kuttner slows down the rhythm and mood of the sequences. Amongst them are images of his almost rural neighbourhood Unterbach, showing his wife pushing a stroller and his two sons, Titus and Swen. Several scenes of "A-Z" show Gerhard Richter, who accompanied Kuttner during some of his shootings. 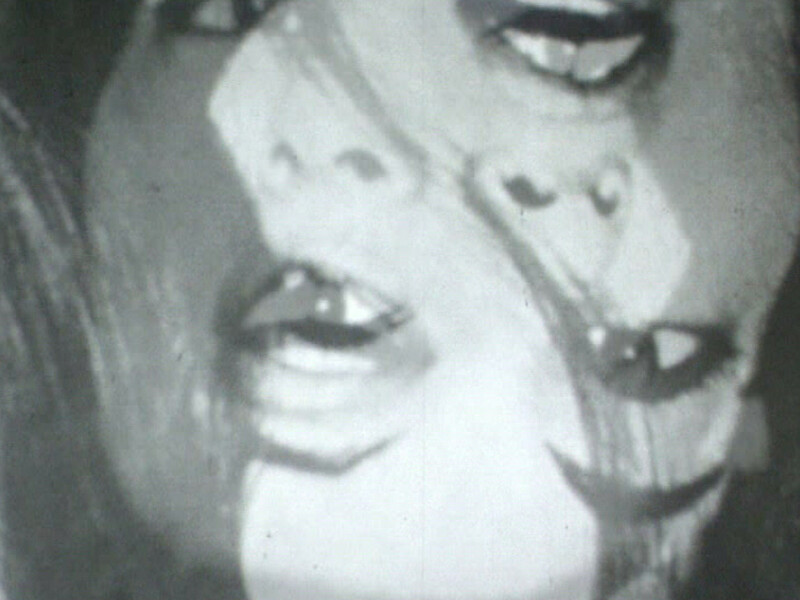 Besides, one of his paintings, "Nase" (Nose, 1962), has a prominent position in the film appearing several times. The letters "A" at the beginning and "Z" at the end of the film are in turn filmed paintings by Kuttner, as is the appropriated logo of "Spalt", a German headache tablet. Formally, Kuttner alternates between short, filmed sequences and images which he individually exposed to light as photographs. In doing so, he leaves some of the images sub or over-exposed, afterwards coloring them by hand with red, green or yellow. The 'empty gaps' in the film material generate a nervous flickering when the film is played, emphasizing the speed and haste of life in the large, modern city, which the young Kuttner came across while exploring his new home Düsseldorf. The script, titled “Filmstudie“ further elucidates Kuttner's conceptual approach towards the film project. He planned it with meticulous precision, even if he does not strictly adhere to his study during the realization of the film. "A-Z" was shot in the standard 8mm film-reel (approx. 3:30 min) and produced entirely without cuts (for conservational reasons, the 8mm original has been reproduced in 16mm for the exhibition). Prior to the shooting, Kuttner calculated the exact amount of single frames within the film and established a scenario for each. In order to comfortably carry the script in his bag on his way around the city, the artist pasted together several Din A4 paper sheets and subsequently rolled them together. The script can be seen at the exhibition in its full length, unrolled inside a vitrine. However, Kuttner did not only use the script as a sketch for the film. On the back of the "Filmstudie", beside pencil markings of calculations for a canvas, he painted a pattern in neon colors, which are typical of his work. The sketch of a red crossed structure corresponds to the pattern in "Hasard" (1963), a painting now at the Museum Ludwig collection in Cologne. Manfred Kuttner (1937, Greiz/Thüringen – 2007, Erkrath near Düsseldorf) initially studied at the art academy in Dresden, until 1961 when he left the GDR. Following his relocation in the west, he studied at the art academy in Düsseldorf with Karl Otto Goetz, alongside Gerhard Richter, Sigmar Polke and Konrad Lueg. In 1963, the four artists organized the first exhibition of German Pop Art, held in an empty shop at Kaiserstraße 31a in Düsseldorf. Within a period of only four years (1961 – 1964), Kuttner accomplished an oeuvre with a form language of his own, mostly painting, drawing and sculpture. 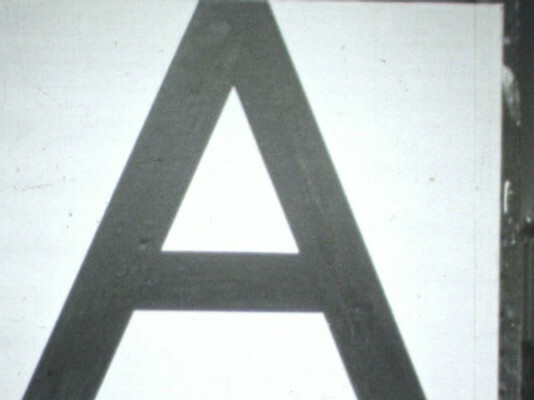 "A-Z" is the only film project the artist produced. In 1965 Manfred Kuttner suspended his career as an artist. Amongst others, Kuttner's earlier work was shown in the exhibition "The artist's dining room" (2007) at the Tate Modern in London (together with works of Anselm Reyle and Thomas Scheibitz) followed by a solo exhibition at "Westlondonprojects", London.